Everybody knows who is being referred to here. Yogi Berra, the only person in the world to hold this honor. 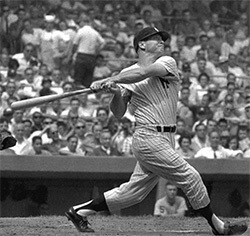 Berra and the Yankees took the World Series championship trophies 10 times during the years from 1947 to 1962. All in all, he played pro for almost 20 years, and took home the prize more than half the time. Quite an astonishing achievement by any standards, the man became a legend for the feat. Joe DiMaggio, who participated in the MLB for only 13 years, took a total of nine championship trophies for the Yankees. The New Yankees have been the favorites of many fans and enthusiasts because of their consistent performance and star players. DiMaggio had a chance of taking home more titles than the nine he pocketed, however he was unable to do so due to the Second World War. Perhaps he could have beaten Yogi Berra's achievements. Winning eight times is quite a big deal, and it is quite surprising to find that there are a total of four people who have done so in the history of baseball. To start with, Bill Dickey, once again with the New York Yankees, won a list of World Series titles along with Phil Rizzuto, Lou Gehrig and Frank Crosetti. All these players are Yankees players, and live up to the expectations of their fans. Rizzuto, like DiMaggio, could have taken home more titles; however, he served in the army for some time during the Second World War, and therefore missed the seasons from 1943 through 1945. Apart from Rizzuto, the other three played alongside each other for a large number of these wins. 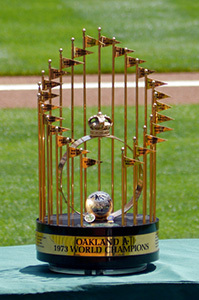 There are six players who have been part of teams which have won the World Series of the MLB seven times over. 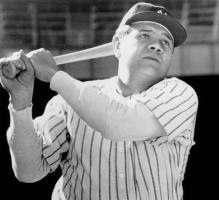 At the top of the list would be one of the biggest idols of baseball, Babe Ruth. This legend started off as a pitcher for the Boston Red Sox, and eventually became a hitter for the Yankees. In both teams he won the championship title multiple times. Mickey Mantle, Herb Pennock, Johnny Murphy, Tommy Henrich and Hank Bauer are the other five players to have the honor of winning the cup seven times in different seasons. Pennock played with Babe in the Red Sox as well as for the New York Yankees. Bauer is famous for leading the AL in the year 1957 with just nine, and made an astounding 57 triples in the 14 years of his career.